I'm in love with the latest LD release. 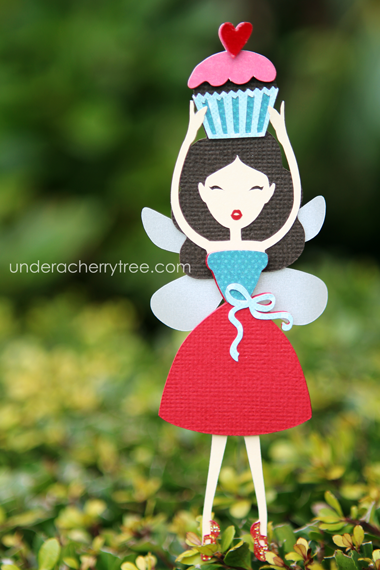 Princess paper doll dress up? Yes, please! The Tiny Princess is too cute! The line includes a Cut It set, a graphic set, and several sets of alphabets. 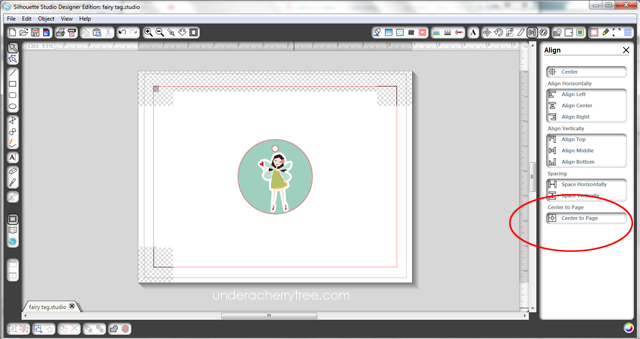 I can't wait to use these adorable images to make something for my girls. I know that they'd love it! There is also a new "Earn-a-Collection"-type of promotion over at LD. If you spend $12 between now and March 31, you will get the whole Conscientiously collection for free! (Hint: it's Pinocchio!) Click HERE for the full details. Don't forget to use your coupon if you are shopping at LD. Use the code TweetTweetSavings to take 25% off $10! Click HERE to start saving. Click HERE or the image above to go to the LD site. 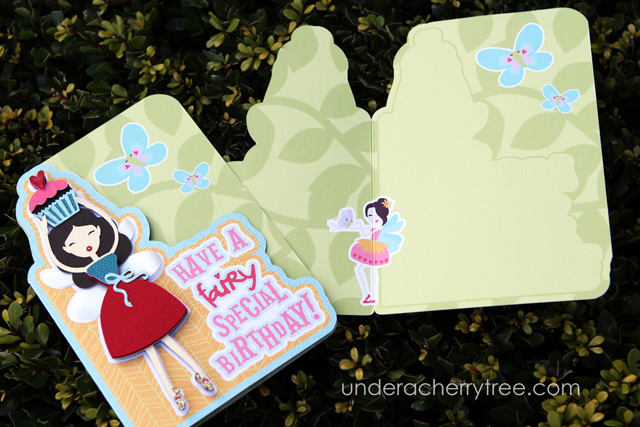 Add the Tiny Princess Peepers Cut It Set to your cart and checkout. You pay $0.00! The link to the download will show up after the "transaction" is completed. 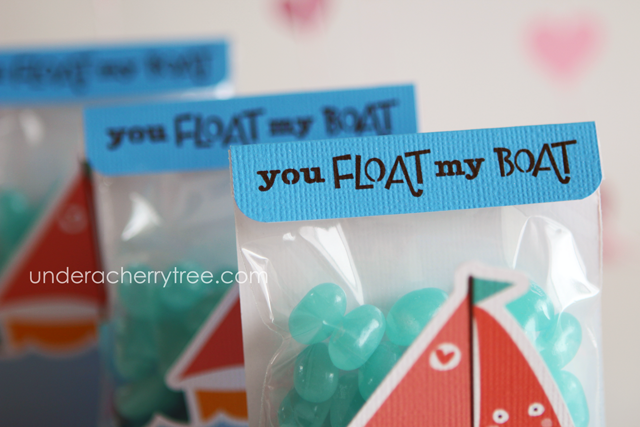 scrapNfonts is a sister site of LD and they too, have a freebie to give away. 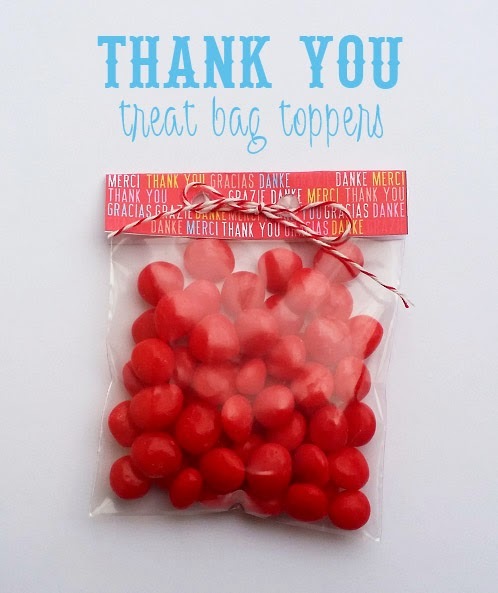 Click HERE to go to their Fontaholic site and download their Thank You Treat Bag Toppers for free. 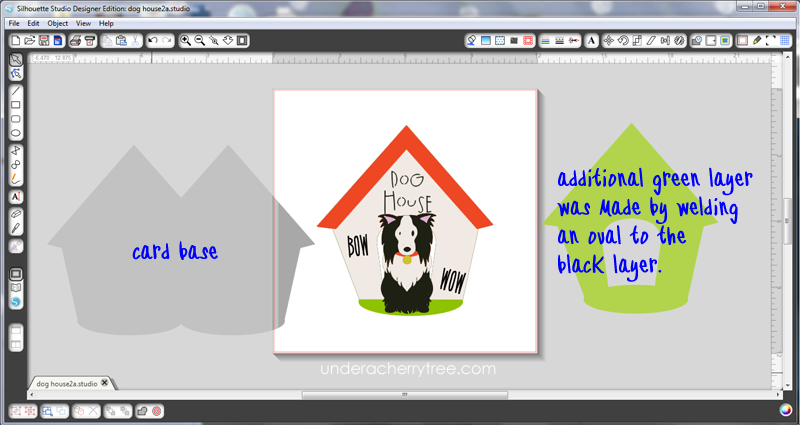 Using Silhouette Studio Designer Edition, I made a shaped card out of the dog house image. 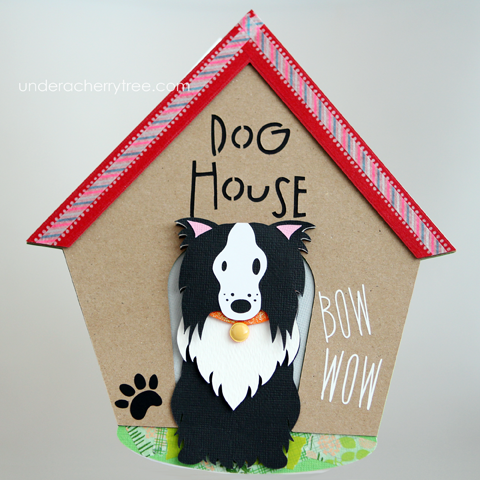 I wanted the dog to look as if it was sitting on the grass so I made an extra green layer by welding an oval to a copy of the black layer of the dog house. 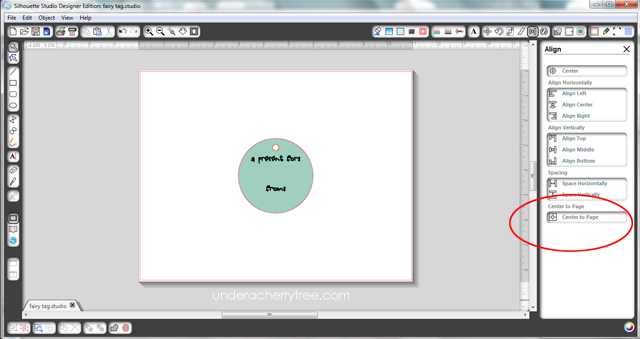 As there was a lot of blank space on the card front, I thought I would add some text to fill it up just a little bit. However, I was out of white vinyl so I ended up using white contact paper instead. 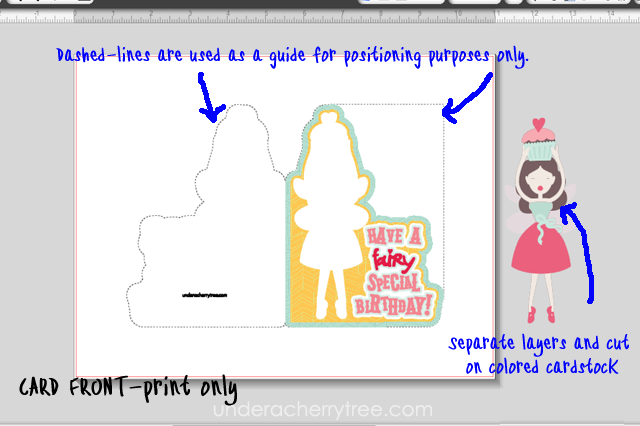 Using the Vinyl settings in Silhouette Studio as a guide, I cut the text out with the Blade set at 2, and the Speed at 8. 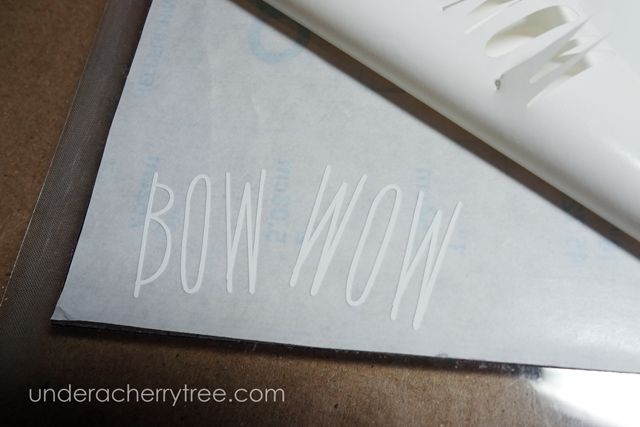 I lowered the Thickness from 9 to 5 as the contact paper was thinner than vinyl. The Cameo cut out the text beautifully! 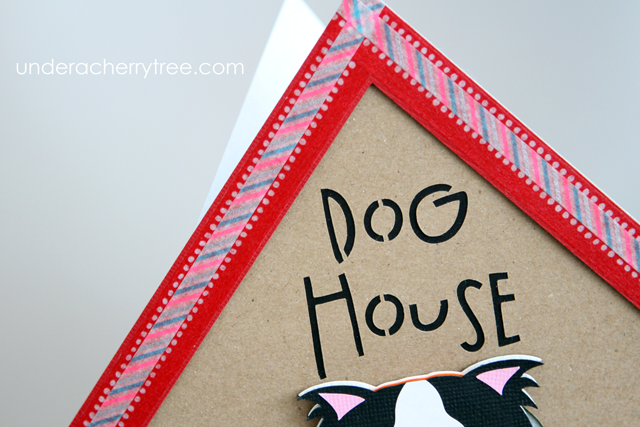 To finish the card, I added a paw print that was cut out from black vinyl and used washi tape to add some patterns to the dog house. There's a new collection and promotion on the LD site! For a limited time, get the 39-set "All Dogs Go to Heaven" bundle for only $19 (reg. $156). The bundle includes alphabets and graphics that are great for print-and-cut! In addition, LD has also put on sale their "old dogs". I *heart* the Eeieeio and Nancy's Party sets! If you don't already have them, click HERE to get them. Click HERE or the image above to go to the LD site. 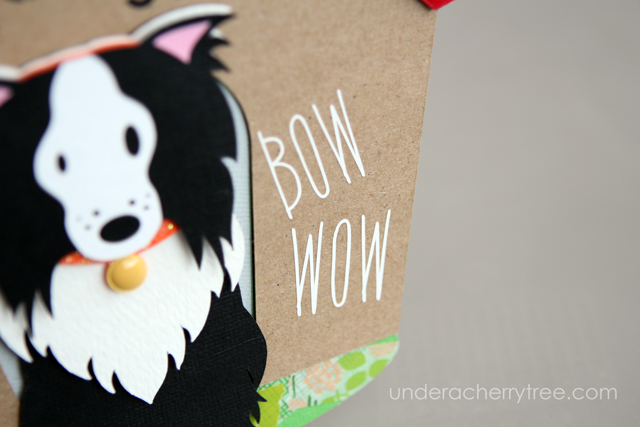 Add both the Doggy Dog cut its and graphic files to your cart and checkout. You pay $0.00! The links to the downloads will show up after the "transaction" is completed. scrapNfonts is a sister site of LD and they too, have a freebie to give away. 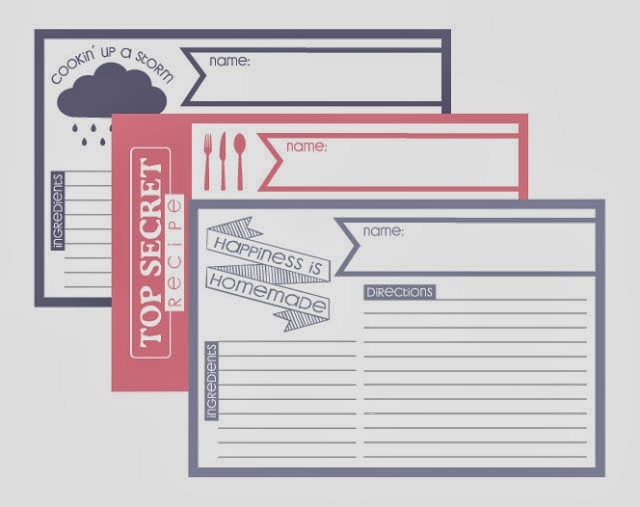 Click HERE to go to their Fontaholic site and download their printable Recipe Cards for free. There is a new offer over at the Silhouette Store! 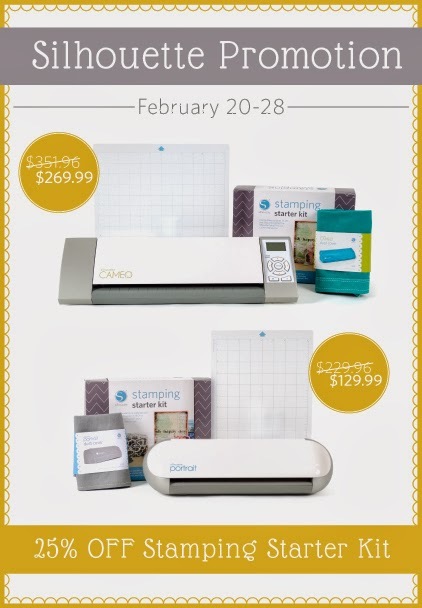 By using any one of the coupon codes below, you can get the Stamping Starter kit for 25% off. Almost everything else in the store is 20% off when you use the coupon. (Offer excludes Silhouette CAMEO®, Silhouette Portrait®, gift cards, downloads, download cards, and subscriptions). In addition, with the code, shipping is free for any purchase above $25! One-Day only! 50% off coupon! Hurry! Here's a great LD coupon that is good for 1-day only. Use the code: presday2014 to save an additional 50% off any $20 purchase or more. The trick to making a double-sided card with SSDE (Sil Studio Designer Ed) lies in the "Center to Page" feature in the Align tool. 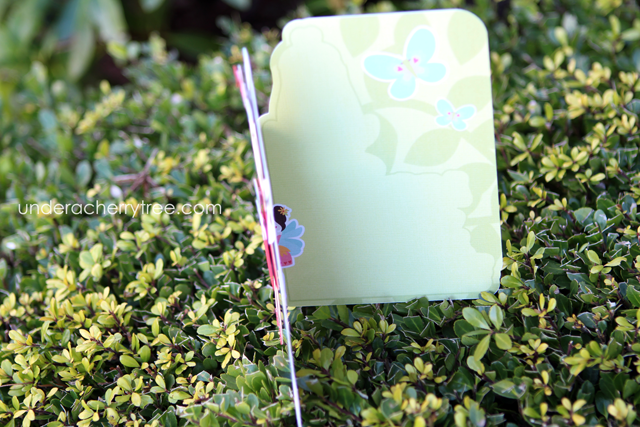 Aligning the card in the center of the page for both the front AND the back of the card, ensures that the two sides of the card are in the exact same position. After printing the front of the card, just feed that same sheet of paper back into the printer to print the other side. Of course, you will have to note the direction that your printer prints so that the reverse side is printed correctly. By using this method, I came up with today's double-sided card. 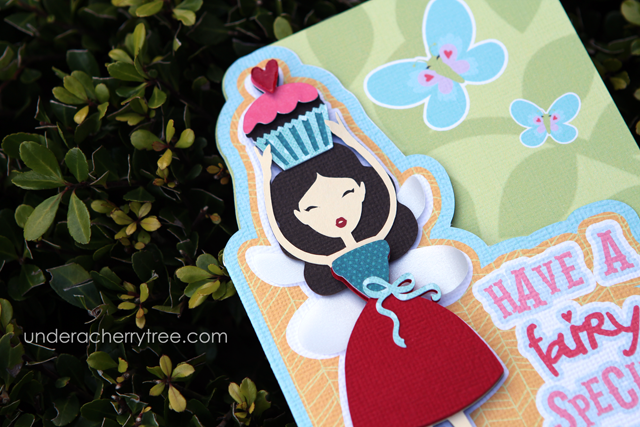 I started by making a shaped card base and ended up printing on the front side and print-and-cut on the reverse. 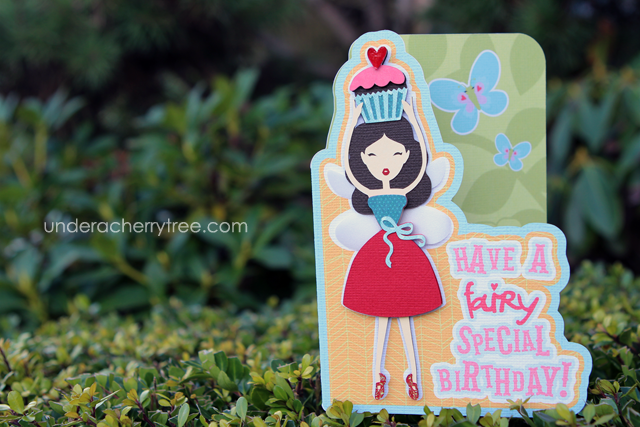 The main fairy image on the card front was cut out from different colored cardstock and layered together with glue and foam tape. 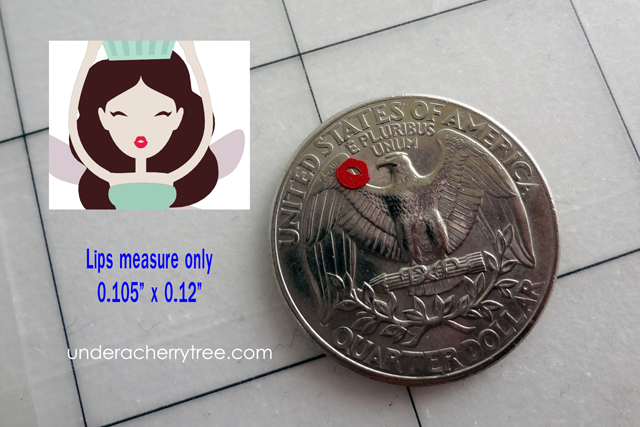 The fairy measures 1.845"(w) x 5.29"(h) and her lips only 0.105" x 0.12". They are tiny! Using a cardstock to get a clean cut for a layer that small would be challenging and so I used a scrap piece of red vinyl instead. The Cameo did a beautiful job cutting the tiny shape out. 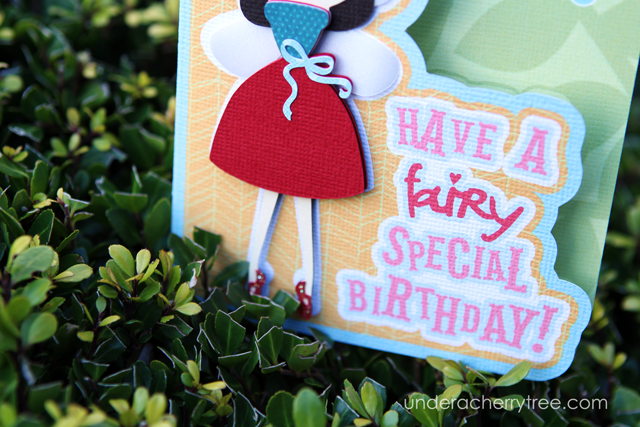 Once the fairy is pieced together, I glued it to the card front to complete the card. 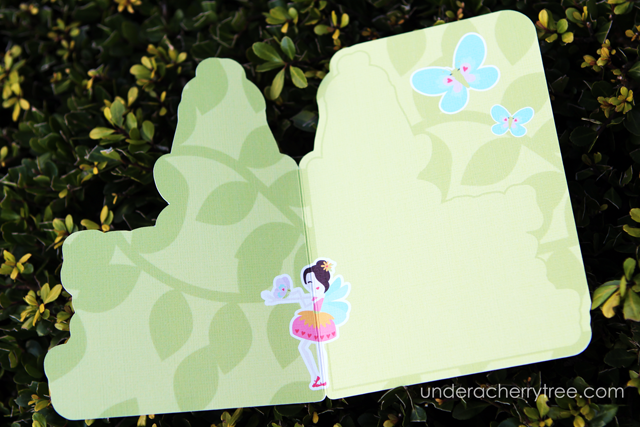 If you have never made a double-sided card before, you may want to try with a basic shape first. A double-sided tag would be a good idea. Just remember to align it to the center of the page. 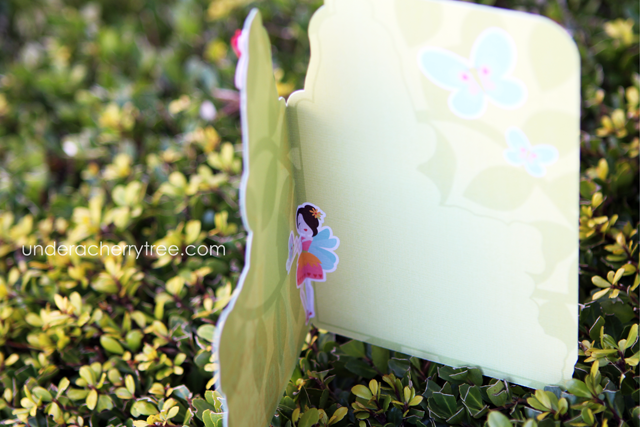 Once you get the hang of it, it would be easy to progress to a double-sided card or you may even want to attempt a double-sided tri-fold card like the one I made HERE. Click HERE or the image above to go to the LD site. Add all three Objects of My Affection Car files to your cart and checkout. You pay $0.00! The links to the downloads will show up after the "transaction" is completed. scrapNfonts is a sister site of LD and they too, have a freebie to give away. 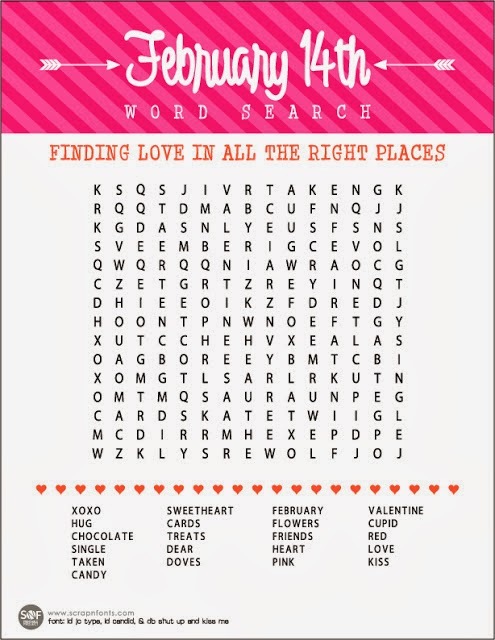 Click HERE to go to their Fontaholic site and download their Valentine's Day Word Search for free. NEW! Objects of My Affection. 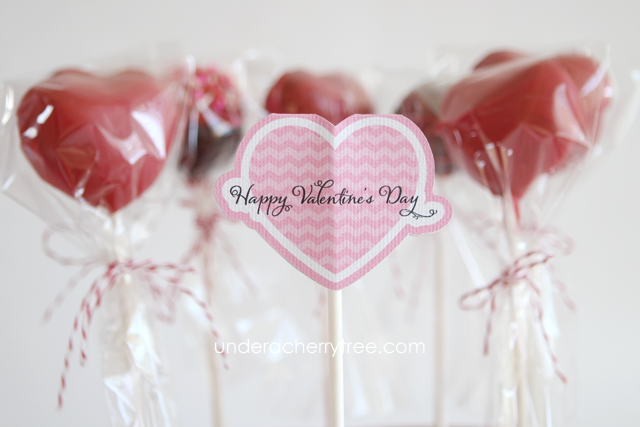 Look what LD released last night- a new collection just in time for your last minute Valentines! Click HERE to check out the Objects of My Affection. For as long as I can remember, the kids have always loved honey sticks. When they were little, I used to get them from the honey stand at Pike Place Market. 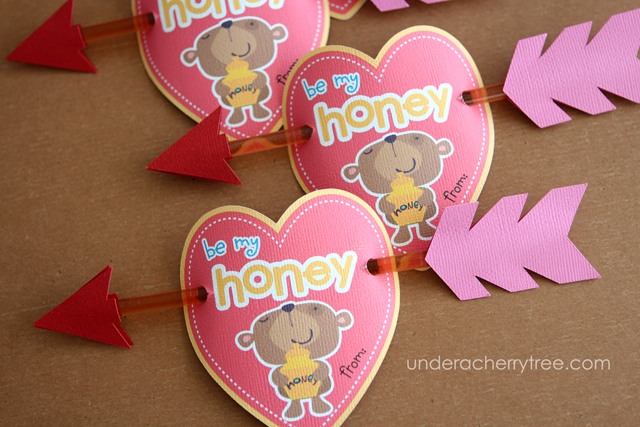 Nowadays these honey sticks are available at almost every grocery store around here. We were getting groceries the other day when the kids spotted the honey sticks and of course we came home with a bunch. I refused to give them to the girls right away though. Not until I had dressed up the sticks first. I started with a heart shape and made 2 offsets. I imported the bear, typed in the text, and made offsets of that. 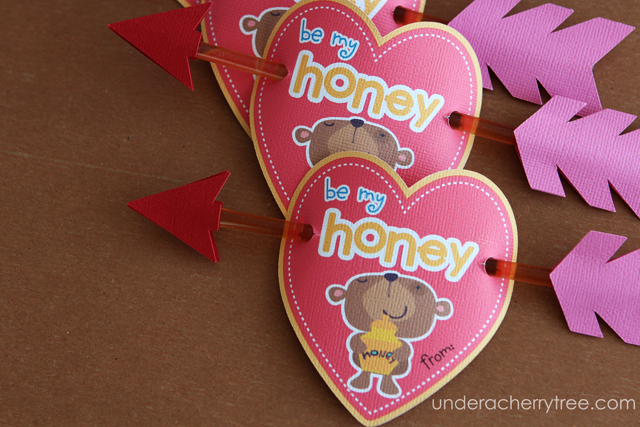 I changed the Line Style of one of the hearts to stitched lines and added two 1/4" circles on the tag. 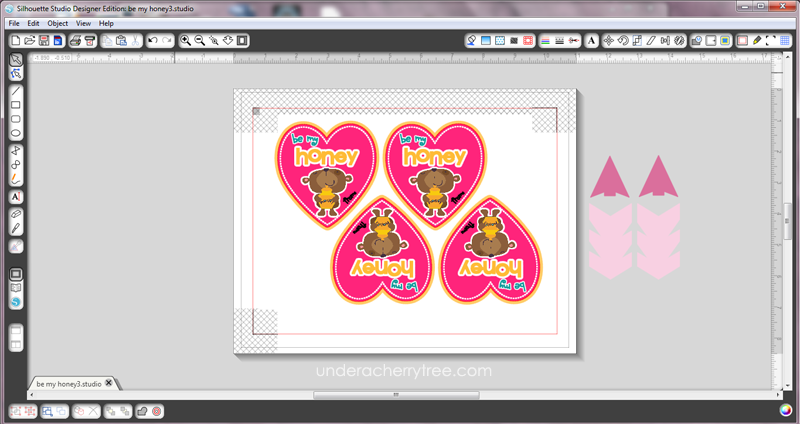 Next, I used the Line tool to add two short cut lines to the circles so that I could slot the honey straws through. 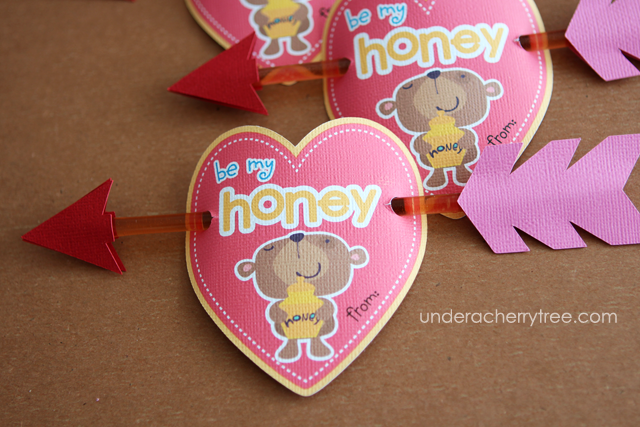 To finish off the project, I print-and-cut out the tags, slotted the honey sticks in and added the arrow parts. 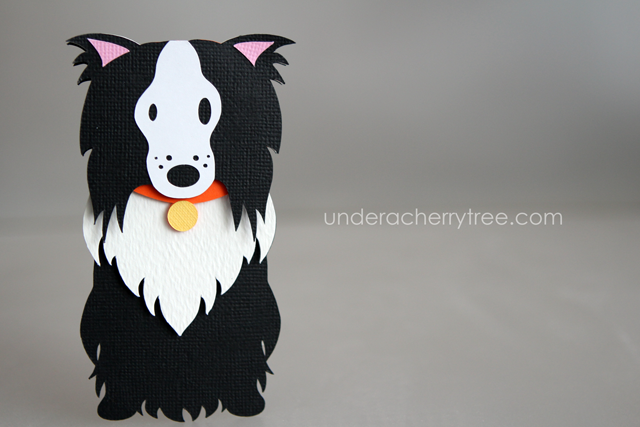 UPDATE: I've added a video tutorial for this project at THIS LINK. 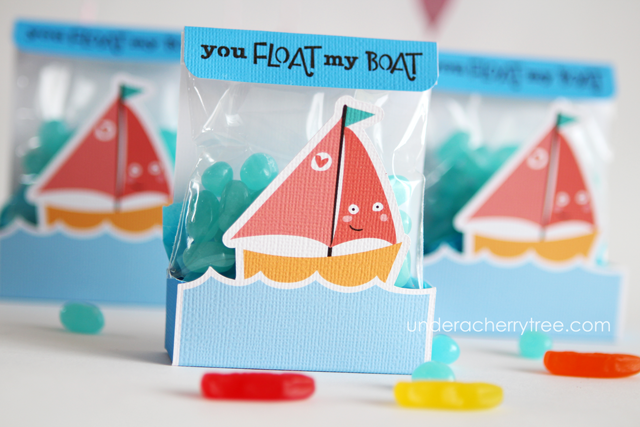 I made a couple of treat bags in a jiffy by modifying the sailboat file from the Hooked on You cut it project (SVG) and turning it into a print-and-cut. 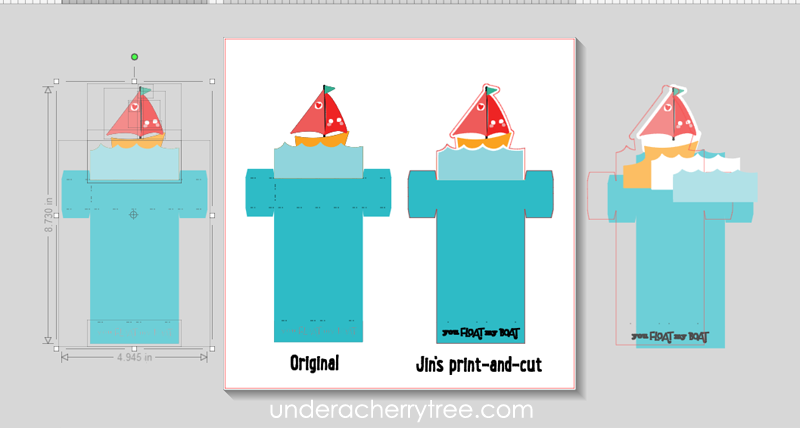 As illustrated above, I turned off all the cutting lines except for the outermost layer. I used the Silhouette Studio commands "Release Compound Path" and "Ungroup" to separate the greeting and filled it with black color. 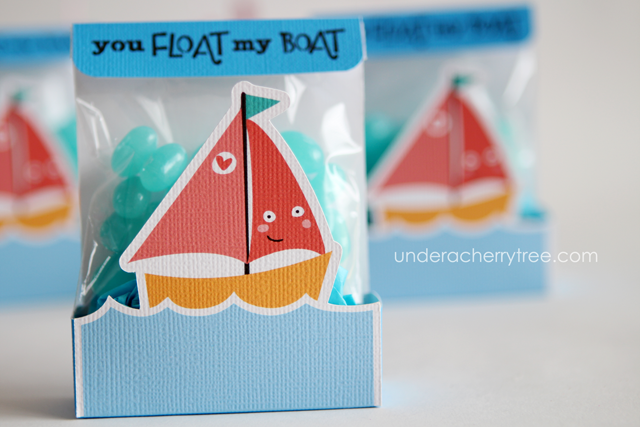 I also made a couple of offsets (one around the sailboat, and another internal offset on the waves) to make the printed treat box a little sturdier and a little bit cuter. 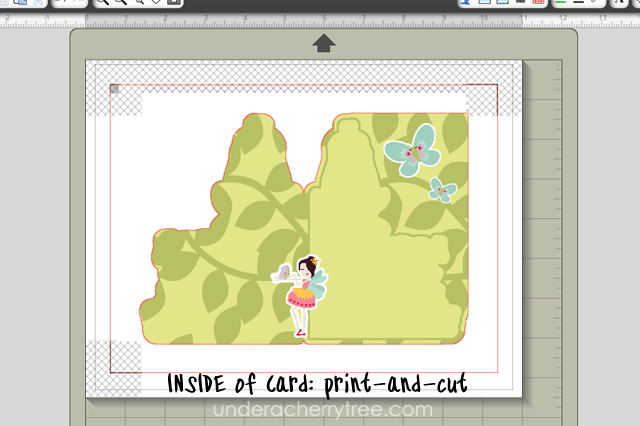 Cutting and layering is fun but time-consuming. If you have not tried print-and-cut before, I hope you do sometimes. It's just as fun as traditional paper-piecing. But faster. Hooked on You Cut It project. 50% off new LD 2014 Winter Olympics collection!